See scan - perfect condition. 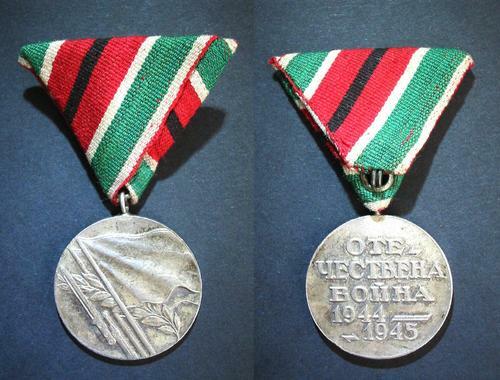 This is an extremely scarce and rare Bulgarian first post WWII 1944-1945 military medal of the Patriotic War with an original ribbon with one black stripe in the middle - awarded only to killed in action posthumously army staff. The medal was issued by the regency government and earliest socialist / communist transitional government. Scarce militaria / military collector piece and one of the rare Bulgarian medals.